This years University Summer Project included the task of creating 7 very different characters, influenced by 7 different artists/illustrators. 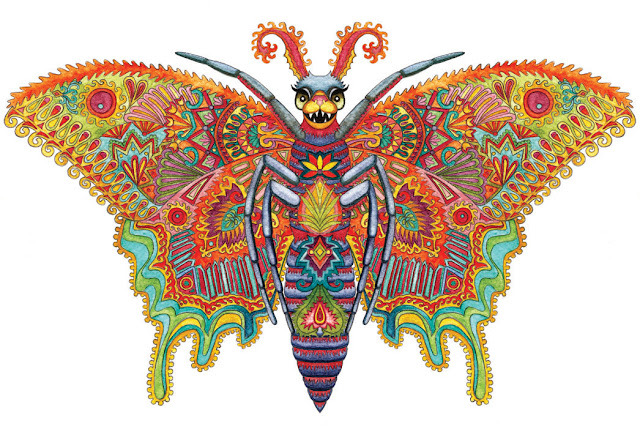 This psychedelic butterfly was inspired by Louis Wain's cat drawings. I created this illustration using watercolour paints. Without doubt this is the most colourful illustration I have ever produced! For someone who avoids colour, I actually quite enjoyed painting this fun, sinister character.